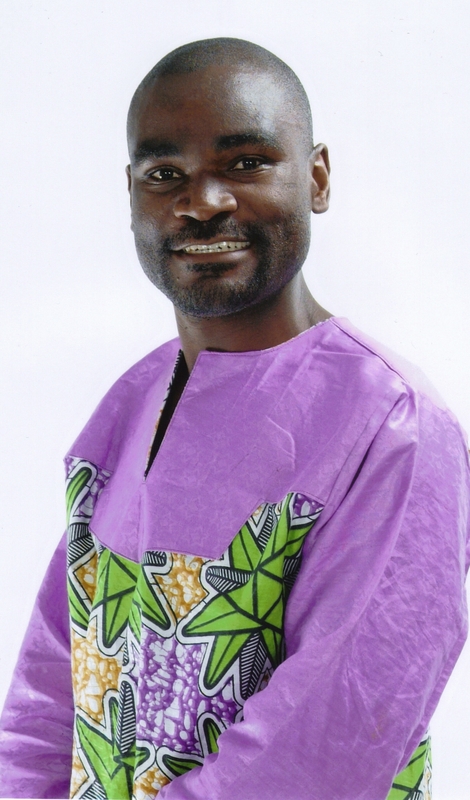 Nurses, Strikes and the Don’t Kubeba Economics of False Promises | Elias Munshya, LL.M, MBA, M.DIV. Just when you thought the don’t kubeba government had exhausted all of its chaos in its arsenal; it comes up with something even more bizarre than previously thought. It seems in all probability that the PF government has an irresistible penchant for self-sabotage. And the events of this week when they fired nurses go to confirm this. The firing of nurses is quite odd to say the least. Dismissal letters stated that the Public Service Commission, following directives from the President, has fired them for participating in an illegal strike. This is strange because the Public Service Commission does not function at the mercy of the president. In fact, the president is not the supervisor of public workers. The president does not hire and neither can he fire public workers in his own name. The Supreme Court of Zambia settled and checked the president’s role in such matters in at least two cases involving a teacher (Kang’ombe) and a soldier (Miyanda). As such, the fact that President Sata allowed his name to be included in those dismissal letters goes to show the chaotic ethic behind the firing of these nurses. But this should be expected, the don’t kubeba government is one of the most disordered governments we have ever had in recent history. And by their fruits we have known them. It is quite absurd that while President Sata and his don’t kubeba government have increased their salaries four times since assuming office, they have found it rather insulting that the nurses should equally demand some form of reparations. What this PF government should have done is to show sympathy towards all public workers by showing that they are equally committed to the same sacrifices that the public workers are being subjected to. The firing is also improper due to the impact it has on the public service itself. Zambia runs a severe shortage of health care workers. We have about 0.7 nurses per 1000 of the population. If this is not a crisis, I do not know then what else would define one. With these numbers it is prudent that the State exercises both wisdom and diplomacy in the way they attend to sensitive professionals such as nurses. As mentioned above, had the government shown some restraint, I have no doubt that the nurses would have gone back to work as negotiations continue. What we need from this government is not how many nurses it is going to fire, but rather how many nurses it is going to hire. And at the rate we are going, we could as well wake up one day with all the nurses gone. It does seem that this government only cares for the stomachs of politicians, and does not care for the health workers in our country. And when you have no plan on the table for good leadership, the words “you are fired”, become the easiest thing you default to. This government created the crisis among the health workers, and it has to be this government to resolve it. The nurses are demanding, simply, that the government pays them what is already due to them. This government promised and it has failed to deliver. But that is not the primary problem. We are all human and to err is human. But instead of meeting this with humility, the Michael Sata government has refused to accept responsibility for these misapprehensions and has instead resorted to threats and more threats for the men and women in white. This firing is also surprising in the sense that just a few weeks ago, it was the President himself who was threatening KCM with unexplained sanctions if they fired even a “single miner”. And yet today, the same president has caused to be written, on his behalf, over 300 dismissal letters to helpless nurses. I think if this government truly believes in employment for citizens, it is bizarre that with one tongue it would be fighting for miners, and yet with another go ruthlessly against the nurses for demanding that which was promised them. Perhaps the don’t kubeba government need reminding that they should stop making empty promises. You can’t run a modern government based on promises and more unfulfilled promises. Do not promise all this stuff you keep singing about. Making all these outlandish promises is good, only for a week. When the time to fulfill the promises comes, you get to be labeled a liar. But instead of heeding to this advise, I know what this PF government will do. It will even promise more stuff that it cannot deliver. Currently, the president is all over the place promising the building of new universities, new tuntembas and new roads. I have even lost count of just how many so-called link fimo fimo roads President Sata has been “commissioning.” But the question is, “does he have the cash to do all this”? Of course he doesn’t, and the shylocks from New York will soon realize our economic folly and the little kaloba we keep borrowing might dry up as well. In moments like this, we need level headed leadership. Level headed in the sense that the leadership will be able to tell the truth. But more than that, these times demand a leadership that can show some restraint and sacrifice. As mentioned above, it is not good that the president and his cabinet would always find the money to increase their salaries and yet they go mute when it comes to delivering their salary promises to the nurses. Our nation has seen the difficult conditions under which nurses are working. The nurse to people ratio is just too high. This is unacceptable. As such, the nurses should be in our thoughts and prayers. To demand that this government does the right thing should not land nurses in trouble. As a people we have to exert the necessary pressure on this government so that those fired among nurses are reinstated. Reinstating is just the right thing to do. In the meantime, the nurses’ fight for better conditions of service is a noble fight and the whole country should rally behind them. In the meantime, when the chosen few in the PF government fall sick, they runaway to South Africa to seek medical help. There in South Africa they pay heftily to have South African nurses take care of them. And when they are lucky to return alive, they return with vengeance, not to hire more nurses, but fire even more. Absurd it is, but it is definitely not surprising. This is the don’t kubeba way of doing things. Elliott, Thompson, & Koran, 2001), and body dysmorphic disorder (Neziroglu & Mancebo, 2001).